Edgar J. Ridley is the Founder and Chairman of Edgar J. Ridley & Associates. He is an expert on symbolic behavior and its impact on culture. He studied and did research at the Radiocarbon Laboratory of I.F.A.N. (Institut Fondamental d'Afrique Noire), also known as Cheikh Ante Diop University (formerly University of Dakar), in Senegal, West Africa, under the renowned nuclear physicist and Egyptologist, Cheikh Anta Diop. The research, which was supervised by Cheikh Anta Diop, culminated in a thesis entitled The Neurological Misadventure of Primordial Man, a study of symbolism from antiquity to modern man. As an Associate of the think tank, Metropolitan Associates of Philadelphia, Mr. Ridley studied change in major institutions and corporations, with a focus on racism in the corporate structure. He then joined Temple University Community Mental Health Center as Senior Psychotherapist in their Children and Family Unit, providing psychotherapy and consultative services to the North Philadelphia community and the School District of Philadelphia. Mr. Ridley then founded Edgar J. Ridley & Associates, an international management consulting firm specializing in organizational behavior and productivity, with offices in New York and worldwide affiliates. He heads a multidisciplinary team of organizational behavior and development specialists who help corporations and governments develop more efficient operations. The firm serves as advisor to business and industry throughout Asia and Africa. Mr. Ridley's research produced a concept known as the Symptomatic Thought Process which promises to change human behavior and restructure civilization, as we know it. He has implemented his management concept in Malaysia and has been recognized as an Expert Consultant by the Asian Productivity Organization. The implementation of Mr. Ridley's management concept has resulted in strategic business alliances between Africa and Asia. Mr. Ridley has published three books, An African Answer: The Key to Global Productivity; Symbolism Revisited: Notes on the Symptomatic Thought Process; and The Golden Apple: Changing the Structure of Civilization, Volume I (all by Africa World Press). Volume II of The Golden Apple: Changing the Structure of Civilization, subtitled The Evidence of Symptomatic Behavior, has just been released by Africa World Press. He is now drafting Volume III of The Golden Apple: Changing the Structure of Civilization, in which he will focus on methodology. Besides training corporate managers and lecturing at colleges and universities globally, Mr. Ridley has been published in professional journals and textbooks worldwide, including Malaysia Productivity Center's Jurnal Produktiviti, and Changing the Way We Manage Change (Quorum Books). Mr. Ridley's cutting-edge research on the impact of symbols is the core theme of a textbook published by McGraw-Hill titled Managing Diversity in a Global Economy. Linda L. Ridley is the CEO of EDGAR J. RIDLEY & ASSOCIATES, INC., focusing on strategic direction and business development. Having earned her Master of Business Administration from the prestigious and historic College of William and Mary, Linda leads research and development of pedagogical methodology to enhance productivity through behavior change. She is an expert trainer, focusing on workplace effectiveness through team building and group dynamics. Linda is a full-time faculty member of the Business Department of City University of New York's﻿ Hostos Community College, where she teaches initroductory busniess and management courses. 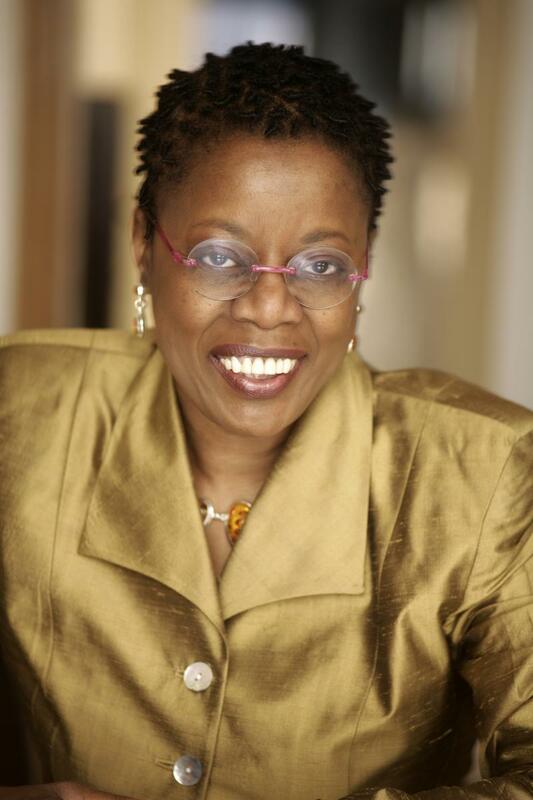 She is also an Adjunct industry expert at CUNY's graduate School of Professional Studies. In the SPS program for an MS in Business Management and Leadership, Linda teaches Organizational Behavior and Leadership and Managing Diversity in a Global Economy. After creating the curriculum for Managing Diversity in a Global Economy, Linda partnered with McGraw-Hill to compile and edit the textbook for use in the course. That textbook is in its 3rd edition. Linda is also a faculty member of the American Management Association. A subject matter expert in leadership, team development, management, communication and negotiation, Linda has experience in business enhancement efforts including critical thinking and collaboration as well. She conducts workshops and training seminars for senior leaders, middle managers and staff. ﻿Currently, Linda is pursuing her doctorate in education at St. John's University in Queens, New York. Prior to consulting, Linda spanned 20+ years in financial services - she is a former Director in Corporate and Investment Banking with Wachovia Securities, now Wells Fargo Advisors. Active in education advocacy, Linda is a founding member of the Women's Leadership Council of United Way of New York City. 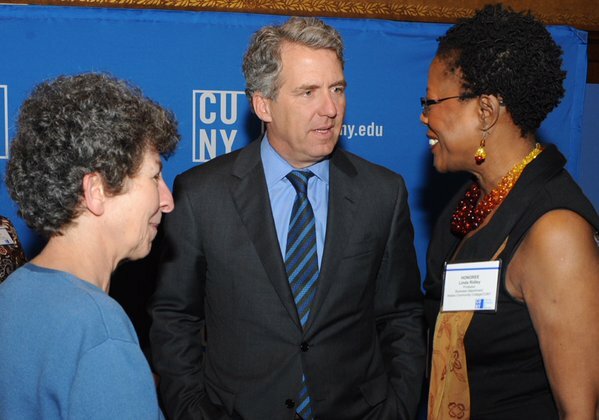 Linda is a recipient of the Dr. Gardner C. Taylor Corporate Community Service Award..
and CUNY Prof. Ruth Stark at CUNY's Salute to Scholars event.